A Japanese company called Zeon claims it has developed a film for the polarizing plates of LCD screens that boosts picture contrast by more than an order of magnitude. The company is already selling films for those plates to LCD TV makers like Samsung whose screens are based on vertical alignment technology. It produces films for OLED screens, too. 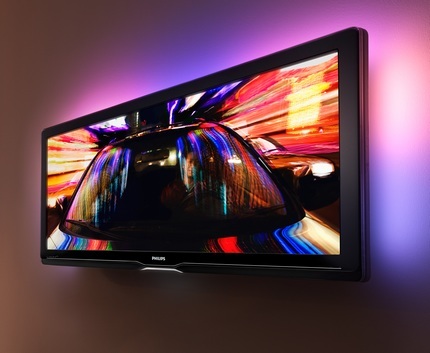 Zeon’s new, so-called phase difference film, however, is made from Cyclo Olefin Polymer, which makes it suitable for LCD TVs based on in-plane-switching (IPS) technology. Makers relying on IPS technology are Panasonic or Hitachi, for example. The new Zeon film inhibits the diffusion of light from the backlight. As a result, viewers get to see clearer pictures. Zeon aims at starting mass-production of their new films within this year, marketing it to makers of LCD TVs that are 40 inches or larger. The company says the film helps to widen the viewing angle as well, making it useful for digital signs, too.